Just a few days ago, the Philadelphia Eagles won the Super Bowl. And they won while being underdogs. 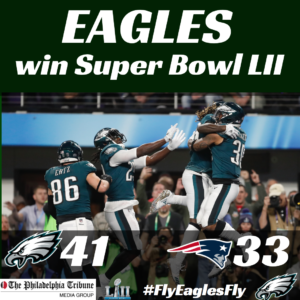 Almost every major prediction, outside of the city of Philadelphia or members of the Eagles Loyalty Tribe, predicted that the New England Patriots would not only win, but win big. Every factor in a solid team making it to the Super Bowl, the Eagles had stacked against them. They had major injuries, including their starting quarterback, they had a relatively newly formed coaching staff, and then of course, they’d never won a Super Bowl. Of course, the Patriots were the total opposite – in every way. But the Underdogs did it! They won. 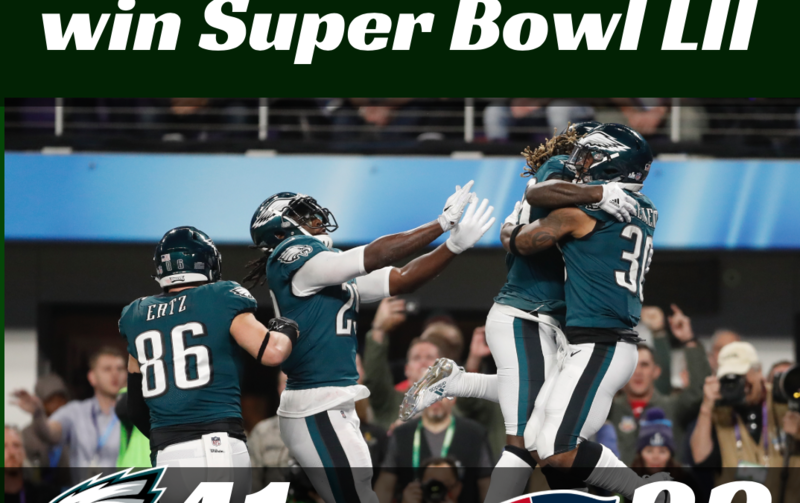 I think there are so many storylines from this Super Bowl, which I could write on various aspects for the rest of the year. And I may write on a few others. 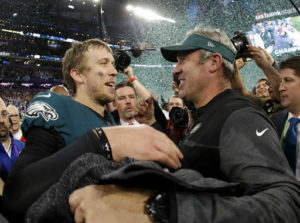 Namely, the notion that the Super Bowl MVP, QB Foles wants to be a Pastor after his NFL career. But for today, I want to focus on this notion of being underdogs. Everyone likes to root for the Underdogs, but no one enjoys being the Underdog. And yet the truth be told, at some point in all of our lives, we all have been (or are) Underdogs. I believe for the average person, this is multi-episode scenario. The Eagles were David facing Goliath. And there are stories throughout history – both fiction and non-fiction – where David defeats Goliath. But how? How does the small guy take out the big guy? How does the one counted out and a huge amount of fear and worry and everything to lose take on this mammoth undertaking of taking down a perennial powerhouse? Among all of the answers that we could toss around, I believe the one answer that must be included among our theories is that the underdogs take a calculated, prepared risk. A calculated, prepared risk is where your preparation meets opportunity and you decide to disrupt the norm, throw caution to the wind, embrace your fears and reach beyond your comfort zone. The Eagles went for it on Fourth and One on your own goal line! Right before halftime. What?!?! Conventional, SAFE wisdom says, get the sure points. Some have tried to minimize it to just math, but I might disagree (and so would so many others). Just kick a field goal and head to the locker room. What would have been an 18-12 lead with the field goal or a 15-12 lead became a 22-12 lead because the Eagles – the underdog made a calculated, prepared risk. In an article on the Washington Post, several of the coaches talked about having the play in the playbook and working on it a few times (preparation), but they weren’t sure if or when they would run the play. The Head Coach, Coach Pederson had a gut feeling…go for it (opportunity). It worked! So much insight in this! I’ve had to do this a number of times in my own life. Getting married was one of them. Listen, I was scared! It worked. It’s working! It was one of the best decisions of my life. Moving to a state where I knew no one in advance, had never been and wasn’t sure if the new job was going to be a fit was a calculated, prepared risk. My wife and I have done that 4 times now. Each time, God has allowed the opportunity to exceed our expectations. I could go on and on and on… It never gets easier. The decisions don’t make themselves. What does happen is that you begin to trust your gut more. You rely on the track record of the peace that comes from knowing that the desires that you hold have been ran through the filter of your unique gift and talent mix, trusted advisors and mentors have spoken into it, you’ve prayed about, you’ve weighed the options and counted the cost, and you and your spouse (and children) are in agreement. Guess what…the only thing left to do now is…make a decision. A decision that is a calculated, prepared risk. What calculated, prepared risk do you need to take? What do you need to do afraid? That is, do it even though you’re afraid? Even though the underdog, your decisions can set you up…for the win!